After two weeks of her sack as the director general of the National Centre for Women Development, (NCWD), Madam Onyeka Onwenu is throwing shots at the interim administration at the centre for allegedly reversing some of her policies. 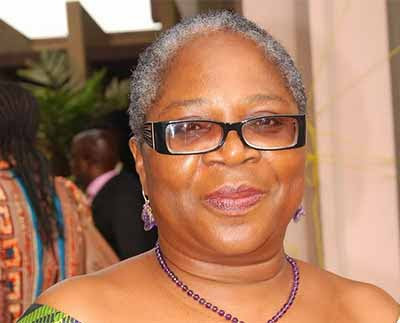 In her message to The Guardian, Onwenu pointed to the Guest House at the centre, which she had renovated and made functional and appointed a manager to run, only for the Acting Director General, Mallam Abdulmalik Dawuda, to reinstate the former manager. “Case in point, the newly renovated Guest House, turned from a dilapidated, fire-gutted structure, where accounts were never kept and ‘friends’ stayed on a permanent basis, free of charge and discounts were given at the discretion of the former facilities manager has been returned to him. But a source at the centre, who pleaded for anonymity, alleged that the revenue generated at the centre within the short period of Onwenu’s exit was far above what was gotten during her tenure. “Also, the manager is a Principal Officer on grade level 14, but Onwenu appointed a level 8 officer to head the management, contrary to civil service rules. “Dawuda, being an astute civil servant, reinstated the manger, who came to this centre with over 10 years experience in hotel management and was managing the Guest House well, according to hospitality standards,” the source added. Another source revealed that though a substantive executive officer is yet to be appointed, the interim management was working towards upgrading the structure within available resources. “But contrary to her postulations, what is on the ground is that 25 rooms are not functional. “Importantly, the centre has enjoyed considerable peace since her exit,”.